For even judges in secular causes, if they see the first orator pouring forth a mighty torrent of words and overwhelming everything with his speech do not venture to record their decision without having patiently listened to the other speaker who is opposed to him; and even if the remarks of the first speaker seem to be just to an unlimited extent, they reserve an unprejudiced hearing for the second. In fact the special merit of judges consists in ascertaining with all possible accuracy what each side has to allege and then bringing forward their own judgment. John Chrysostom, “A Treatise to Prove That No One Can Harm the Man Who Does Not Injure Himself,” §1 in Saint Chrysostom: On the Priesthood, Ascetic Treatises, Select Homilies and Letters, Homilies on the Statues, ed. Philip Schaff, trans. W. R. W. Stephens, vol. 9, A Select Library of the Nicene and Post-Nicene Fathers of the Christian Church, First Series (New York: Christian Literature Company, 1889), 271. The usual suspects on the internet, who automatically assume Pope Francis must be in the wrong when what he says goes against what they think the Church should be, applaud this. I’ve seen go so far as speculating whether the cardinals could “repeal the election” of Pope Francis (no, they can’t). Even those not willing to go so far speak about all the turmoil as if it was Pope Francis’ fault—forgetting that many of these critics also attacked St. John Paul II and Benedict XVI. These people seem willing to seize on this letter as ammunition to either imply or outright accuse the Pope of holding heresy. So you do not see any kind of break with your pontificate? No. I mean, one can of course misinterpret in places, with the intention of saying that everything has been turned on its head now. If one isolates things, takes them out of context, one can construct opposites, but not if one looks at the whole. There may be a different emphasis, of course, but no opposition. Now, after the present time in office of Pope Francis – are you content? Yes. There is a new freshness in the Church, a new joyfulness, a new charisma which speaks to people, and that is certainly something beautiful. Benedict XVI, Pope (2016-11-14). Last Testament: In His Own Words (Kindle Locations 782-787). Bloomsbury Publishing. Kindle Edition. Reading the pre-Papal works of Pope Francis and comparing them to his Papal writings, statements, and press conferences, I see the consistency of a man striving to be “a son of the Church,” consistently defending the things accusers say he is attacking. At the same time, I see the attacks from his critics on social media to be a textbook example of the Begging the Question fallacy—assuming as true what needs to be proven. We hope that no one will judge us, unjustly, as adversaries of the Holy Father and people devoid of mercy. 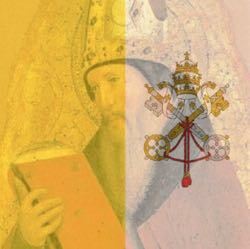 What we have done and are doing derives from the deep collegial affection that unites us to the Pope, and from an impassioned concern for the good of the faithful. So, in justice, we should avoid rash judgment about their hearts and minds. We should not assume bad will on their parts. But neither should anyone treat the Pope in this way. If it is wrong to accuse the cardinals of fomenting schism or other rebellion, it’s also wrong to assume the Pope is supporting error or trying to undermine the teachings of the Church. Also, the history of the Church tells us there will always be someone who is willing to twist a Church teaching to their benefit and claim a sin is not really a sin or that dissent is really being faithful to the Church or to Our Lord Himself. So we cannot commit the post hoc fallacy and assume that because dissent followed a teaching that it is the fault of the teaching. People appeal to Scripture or Church documents to benefit their own views and deny the authority of the Church when she says, No, this is not a valid interpretation. That authority continues today, and those who reject that authority today are just as guilty. What is possible is simply a renewed encouragement to undertake a responsible personal and pastoral discernment of particular cases, one which would recognize that, since “the degree of responsibility is not equal in all cases,” the consequences or effects of a rule need not necessarily always be the same. Priests have the duty to “accompany [the divorced and remarried] in helping them to understand their situation according to the teaching of the Church and the guidelines of the bishop. Useful in this process is an examination of conscience through moments of reflection and repentance. For all those who are not at the present moment in the objective conditions required by the sacrament of penance, the church’s manifestations of maternal kindness, the support of acts of piety apart from sacramental ones, a sincere effort to maintain contact with the Lord, attendance at Mass and the frequent repetition of acts of faith, hope, charity and sorrow made as perfectly as possible can prepare the way for full reconciliation at the hour that providence alone knows. John Paul II, Reconciliatio et Paenitentia (Vatican City: Libreria Editrice Vaticana, 1984). Most of the critics I encounter look at divorce and remarriage in Europe and the United States and assume that the same conditions are worldwide. Because divorce is so easy, critics see no reason why people feel like they must remain in an invalid marriage. What we forget is the Pope is not from Europe or the United States, but from South America and he has seen vicious customs we do not experience. There are places in the world where a Catholic was (wrongly) told their first marriage “didn’t count” and so they were free to marry again—but no annulment was granted [*]. What the Pope is calling for (and the Argentine bishops echo) is that the Church does not take a “one size fits all” approach to each couple. Each couple has a different story, and each couple has different obstacles to overcome to restore them to a state of grace. That’s what the Pope is after. He’s not about changing Church teaching. He’s about getting each person in a right relationship with God. Seeking a path to reconciliation is not giving free rein to sin. So, perhaps when we find something we find difficult to understand, or when people are contradicting each other, perhaps we should consider the possibility that the Pope is not the one responsible for the confusion. Perhaps we’re the ones who missed the point. [†] At the time of this writing, the interview was not translated into English. As always, I urge waiting to see quotes in context. [*] This came up in a recent diocesan meeting I attended for RCIA coordinators. Since the diocesan guidelines state irregular marriages have to be resolved before one formally becomes a catechumen or candidate, we were told to be aware of the possibility of people from other countries being given this misinformation.